Omkoi School Water Project - Adding extra capacity for year round use! 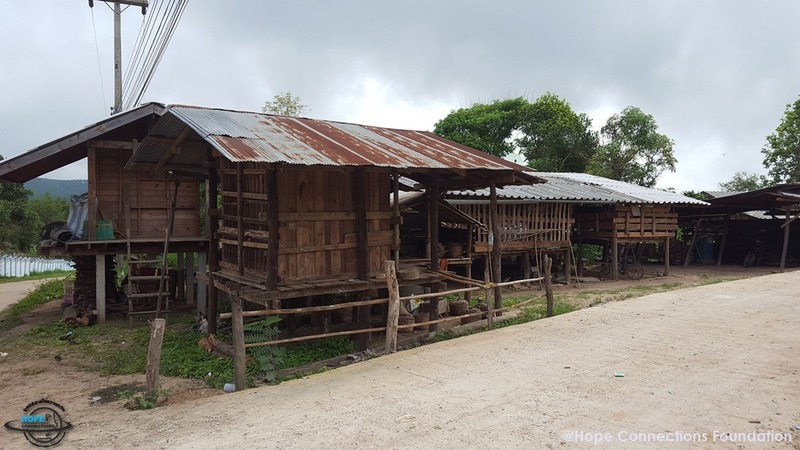 Hope Connections Foundation is about taking education seriously, one of the ways we can do this by providing support and infrastructure for local schools that may not have access to resources and funds to complete these projects. Our Omkoi School Water Project will provide year round access to clean drinking water. Currently, we have several schools and communities, that we are completing projects with in 2017. The foundation team visited a school approximately 120 km away from Chiang Mai, on the way to MaeSarieng. The school has 250 students, from kindergarten through grade 9, with a boarding house for students and teachers from up to 50 kms away to stay onsite during the week. They have 20 teachers and some other ancillary staff. The school has 250 students and about 30 teachers, and the school has a lack of water because it is located at the top of the mountain. 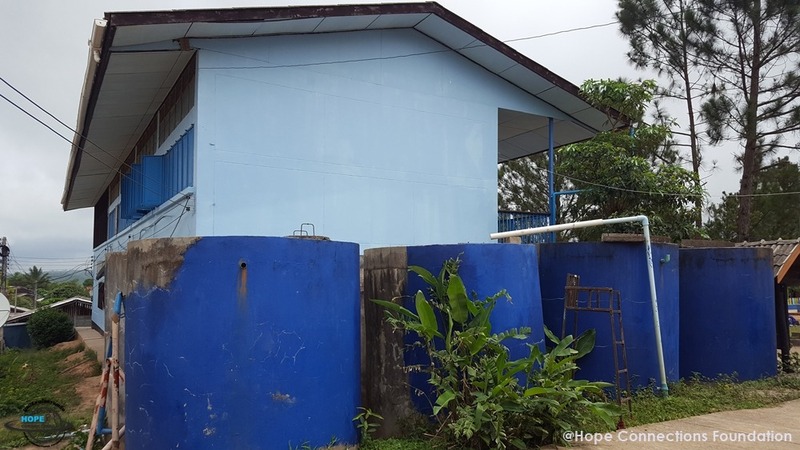 Current cement tanks have recently been refurbished, but are not for human consumption, these tanks provide water for other services around the school including toilets and hand washing. The school tried various ways such as digging wells to solve the drinking water problem, but eventually wanted to store the water during the rainy season for the whole year. Regularly, the reserve water tank was empty and the students had to come to school with their own water bottle to solve the drinking water, which was leading to basic health problems with the students. One of the projects that we will be focusing on, will be continuing to enhance the drinking water supply for students. The school has quite good solution for collecting rainwater during the rainy season. Unfortunately, the storage tank capacity they have is not enough to provide water for students the whole year round. Water collected through the rainy season usually runs out around February, so the school can not provide any drinking water for up to three months. It was in a difficult environment to use. To this end, the group decided to purchased extra water tanks and systems to solve this problem. 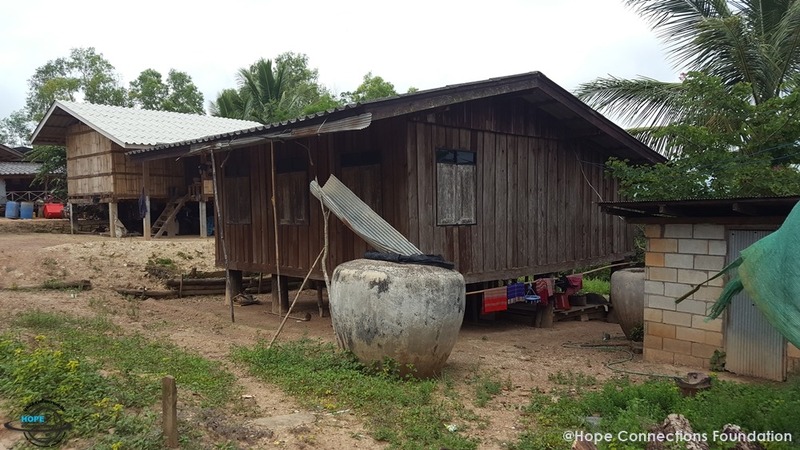 Hope Connections Foundation project will involve providing additional water storage tanks and a filtration system to make sure the water collected is suitable for human consumption. This project proposal costing is approximately USD$2000 or 225,000 KRW. The filtration system will be installed in August and commissioned in August when a team from Korea will be visiting Thailand.